The village of Sierpe is located in the south of Costa Rica in the world-famous Peninsula de Osa; two hours south from Quepos and just one hour south from Dominical. Tarpon Fishing: As you would to know Tarpon are from the Atlantic ocean, but since several years ago they are crossing from the Atlantic to the Pacific through Panama Canal, then they start swimming to the north and going up to different rivers of the Corcovado National Park and the Sierpe River as well. 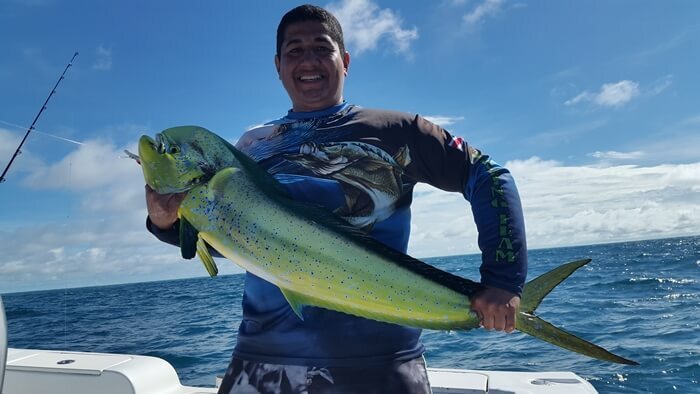 Although the Tarpon catches are no so frequent, there is the chance to catch one of those strong fish in the Sierpe river and along the coast as well. We have a 23ft center console boat rigged with 150hp 4 stroke engine. 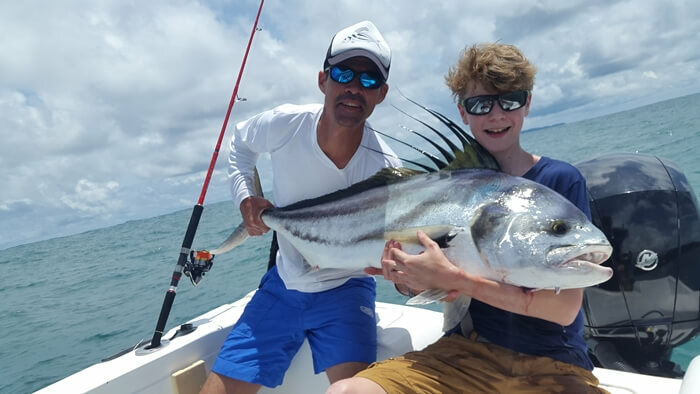 The boat is full equipped with Fishfinder, GPS, Livewell, Outriggers, Radio VHF, Stereo, Shimano rods and reels and large selection of the best lures. Also we have a 14ft boat rigged with a 25hp engine for fish in the Sierpe River, ideal when you come alone or with a friend. 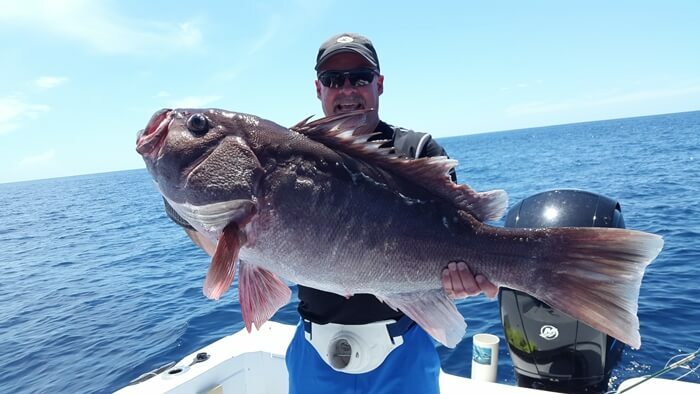 An English Spoken Captain make easier the communication, come and enjoy with us the best fishing days of your life. Lodging: Sierpe town offers several lodging options as hotel rooms or full equipped houses.